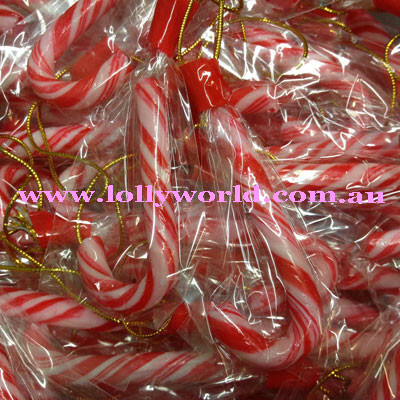 Candy Canes Mini for Christmas at Lollyworld a World of Lollies. Candy Canes Mini are perfect for hanging on the tree. Use for promotional giveaways or put in a Christmas card for your friends. A traditional Christmas Candy Cane with red and white stripes with also peppermint flavouring. Each 4g Christmas Candy Cane is approx 4.5cm long and the hook is approx 2.5 cm wide.